Carnarvon Castle was at Cape Town at the outbreak of the Second World War, and was requisitioned by the Royal Navy on 8 September 1939. She sailed to the naval base at Simonstown and was converted to an armed merchant cruiser. 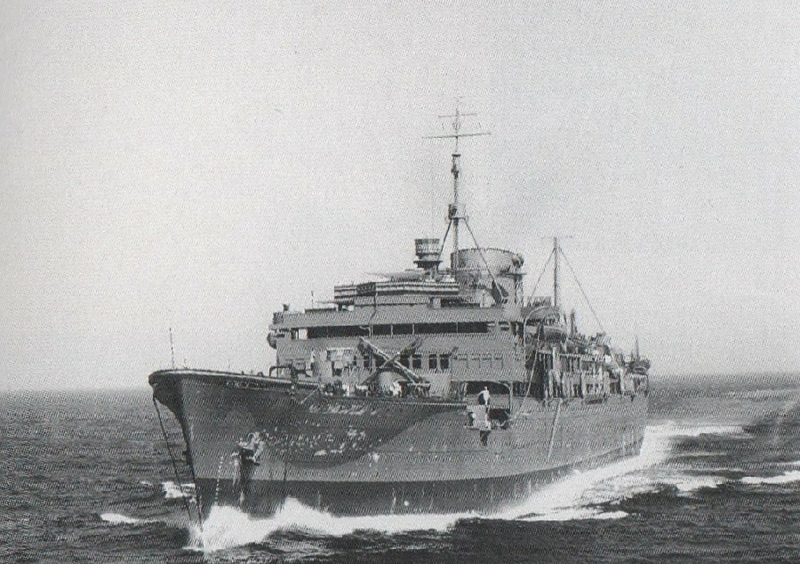 Commissioned as HMS Carnarvon Castle on 9 October, she sailed into the South Atlantic. 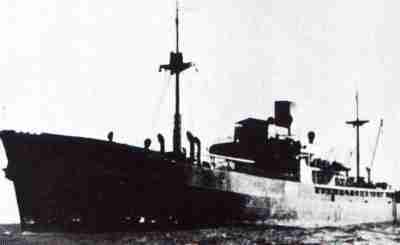 On 5 December she encountered the German auxiliary cruiser Thor and had a five-hour running battle with her. She suffered heavily in the battle, sustaining 27 hits causing 4 dead and 27 wounded. Thor was apparently undamaged in the encounter. 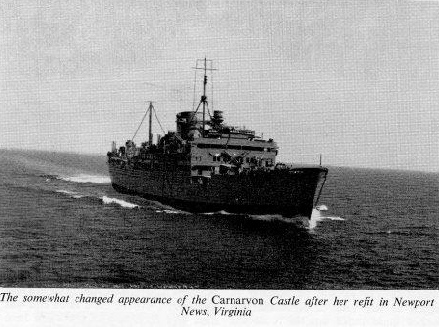 Carnarvon Castle put into Montevideo for repairs, and was repaired with steel plate reportedly salvaged from the German cruiser Admiral Graf Spee. Carnarvon Castle's career as an armed merchant cruiser came to an end when she was decommissioned in December 1943. 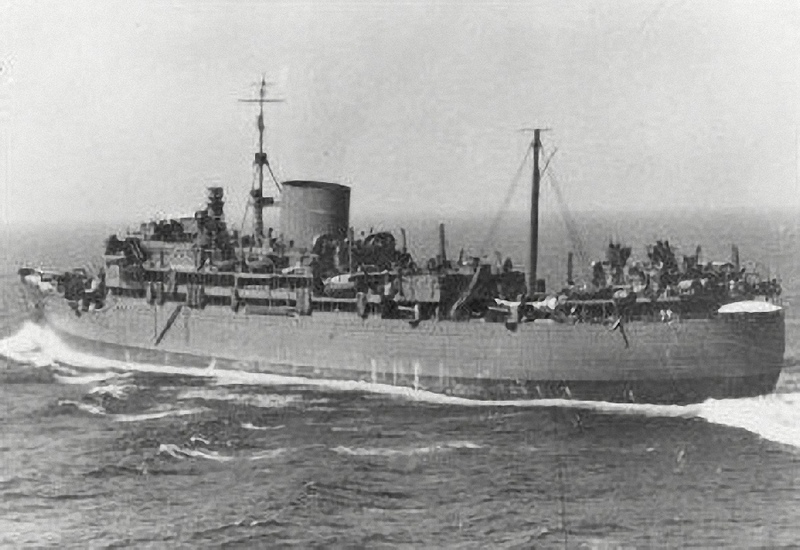 There were plans to convert her into an aircraft carrier, but these were abandoned and she underwent a conversion to a troopship at New York City in 1944. She remained on trooping duties after the war, and was finally released from naval service in March 1947. Returned to her original owners, she was back on the route to South Africa by June 1947. 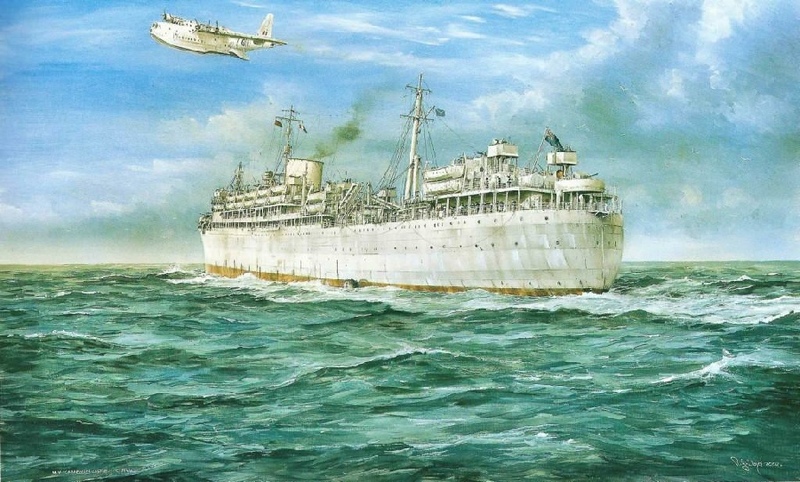 With her trooping accommodation only marginally upgraded, she carried a flood of post war emigrants from Britain on low cost assisted passages to East and South Africa. She was again refitted, to more luxurious standards, by Harland and Wolff in early 1949. 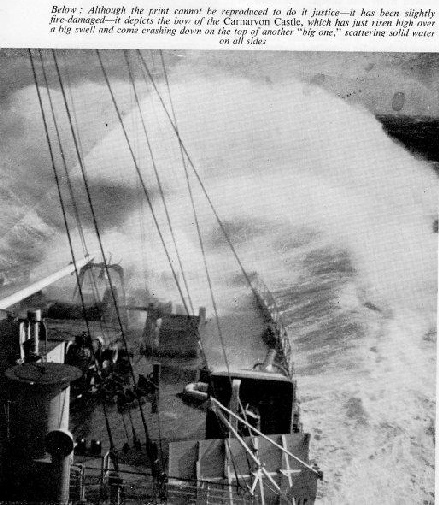 Resuming service on 15 June 1950, she served until her retirement and sale. She arrived at Mihara, Japan on 8 September 1963 and was scrapped. Emerging from Neptune's Bellows at Deception Island in the South Shetland Islands Jan 1943. Small watercolour 14 x 4 inches.